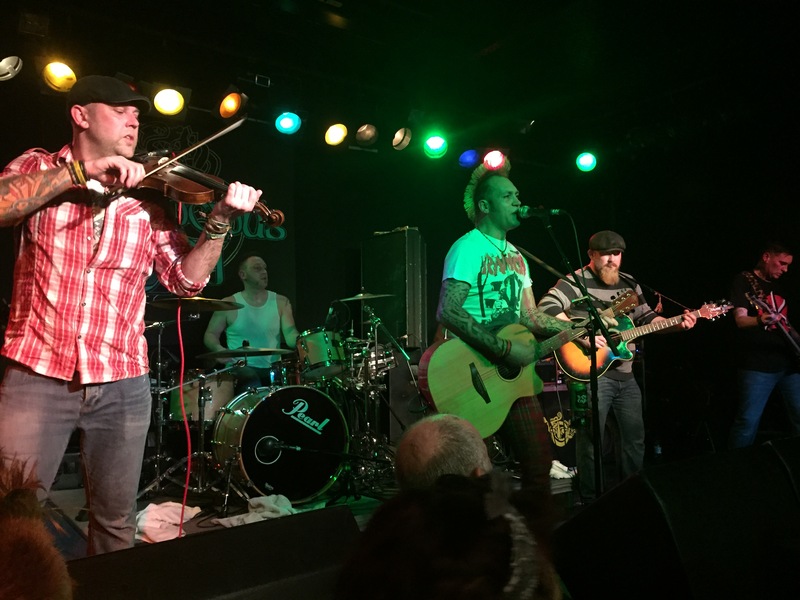 Another cracking evening’s entertainment courtesy of Ferocious Dog was meted out to Nuneaton last night. I was on driving duties so a first sober hearing of the new songs, but wow! A first word should go on the venue, the Queen’s Hall in Nuneaton is a great place! It’s above The Crew which is a rock-themed pub (and I’m reliably informed has decent beer) and is surrounded by easy places to park – the folks involved in the venue were all very friendly and even the security gave up on zealousness after one half-hearted attempt at getting Dean down from Simon’s shoulders! The day following a Ferocious Dog gig is usually a mixture of nursing a hangover, ringing ears, counting bruises and reviewing the steady stream of Facebook notifications that start to flood through as assorted pictures, videos and statuses are posted by similarly content but somewhat broken people. I guess most evening events are quite similar really – that morning after post-mortem helps re-live the excellence of the night before! Getting ready to unleash hell! It’s become a total musical cliche to talk about ‘that difficult second album’ – when would-be songwriters are faced with something other than drawing upon all their life experiences to date to pour into a debut album. With Ferocious Dog, given the slow-burn development from covers to own material to recording, then this task might seem even more gargantuan. Whilst the recordings are still the preserve of the select few until mixed, pressed and released – the first showing of the new stuff at Bodega last night bodes very well indeed! Spending most of the gig in the eye of the mosh pit storm it’s nigh on impossible to appreciate the subtleties that undoubtedly exist in the new material. Fecking fast and energetic would be the easiest nutshell summary. 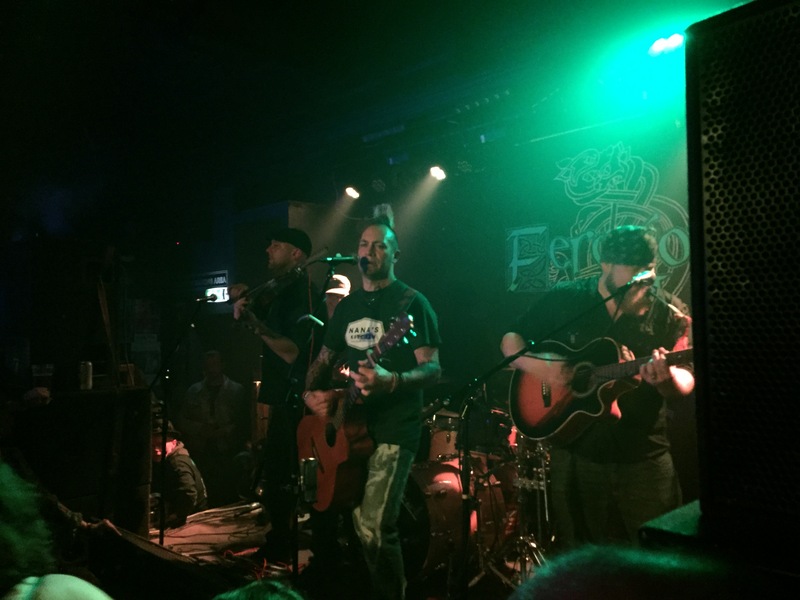 It was frenetic, crafted and loud – my ears are still ringing! It makes the arrival of the forthcoming album all the more eagerly anticipated to me to get a chance to get a bit more up close and personal with the new songs. The tour countdown is on..
As the weekend comes to a close it’s definitely a time to contemplate the week ahead – and glossing over the not inconsiderable excitement I have at going to see the Levellers film screening and acoustic gig in Buxton on Thursday, there’s the small matter of Ferocious Dog commencing their tour on Saturday night at the sold out Bodega gig. That keen sense of belonging.. that feeling that I’m home.. I mention Ferocious Dog occasionally, I know. It’s an exciting time to be a fan of theirs though, indeed, it generally has been – but with a refreshed line-up and a recent announcement of a headline slot in the main room at Rock City in November it’s properly a case of the year of the dog, what with a new album coming in the next few months too (and the tour starting in 10 days!) it does feel like the dawn of a very special chapter for them, and I feel privileged to be able to tag along for the ride.